Tourist flow from the Russian Federation to the occupied peninsula has sharply decreased. The number of Russian tourists who visited Crimea in the period from January to August decreased by 4.2% compared to last year's season. Over eight months about 4.1 million of Russian citizens rested on the peninsula, Gazeta.ru claims. 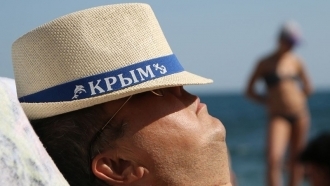 According to the "ex-minister" for Resorts and Tourism of Crimea Sergey Strelbitsky, the bulk of the tourist flow to the Crimea are Russian tourists - last season they accounted for 83.5% of vacationers. The remaining 16.5% are foreigners. The percentage of guests from far abroad is very small (about 4-5%). Statistics show the decreasing interest of Russians to the annexed Crimea. The hopes of the "authorities" of the ARC, who predicted this year's tourist flow at the level of last year, are not justified. According to representatives of the tourism industry, in fact, the tourist flow to the peninsula is much lower. The general director of the company "Delfin" Sergey Romashkin informs about the reduction of the tourist flow by almost 10%. “In the Crimea, statistics on tourists are based on airport data on the number of people entering and crossing the Kerch Strait. However, not all the people who arrived are tourists,” the expert notes. 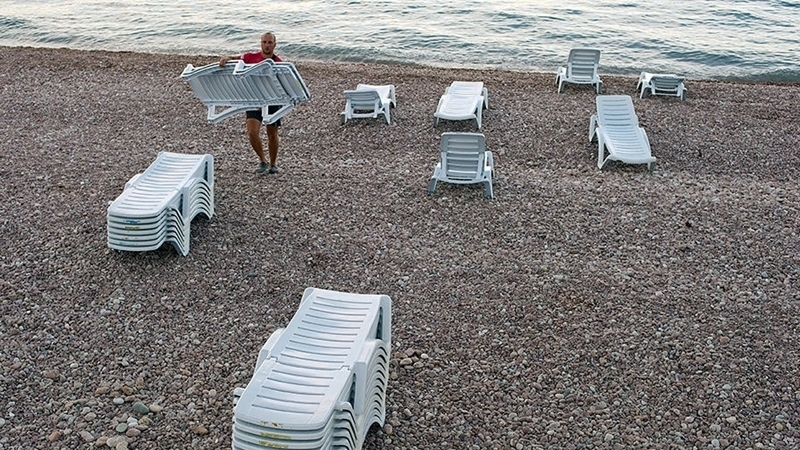 Chairman of the board of the regional branch of the Russian Union of Travel Industry in Crimea and Sevastopol Boris Zelinsky said that the flow of tourists to the peninsula could have sagged even 20%. Experts explain the last year's surge of interest of Russians to the annexed Crimea by the fact that the opportunities for visiting Turkey and Egypt were limited. This year, due to the strengthening of the ruble, many Russians preferred trips abroad to resting on the peninsula. According to the Federal State Statistics Service, for the first six months of 2017, 17.1 million Russians went abroad for tourist purposes. Last year it was a question of a less loud figure - 13.2 million people. Relations between Russia and Turkey deteriorated in 2015, when a Turkish fighter shot down a Russian Su-24 bomber in Syria. The situation led to the fact that the charter was banned from flying to the Republic of Turkey. But after a long break this spring, charter flights to Turkey resumed. Russian Federal State Statistics Service Rosstat records that in January-June 2017, 1.6 million Russians visited Turkey. For the same period in 2016, there were only 168 thousand people, while in the first half of the year 2015 - almost 1.4 million tourists. Today, the Russian government has imposed a ban on selling tours to Egypt. But, according to the sources, in the autumn this year, countries can resume air traffic. Therefore, it is expected that in the next season even fewer Russians might wish to rest on the peninsula. Earlier, on July 19, the RF State Duma passed a law on the introduction of resort fees in the occupied Crimea.